A full time yoga instructor since 2008, Bryony completed the Minded Institute 550 hour training in 2017. 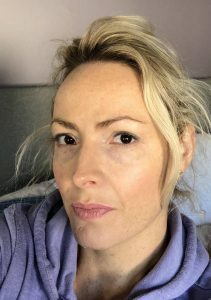 Director of the Be-Yoga studio and training school in Sussex, Bryony teaches classes and workshops for students of all ages and physical abilities, Be-Yoga is a place for everyone to enjoy the benefits of yoga. Working as a trainer for Yogahaven from 2011-2013 was an opportunity for Bryony to mentor many new yoga teachers, she now runs the Be-Yoga Academy which offers a foundation 200-hour course with an emphasis on inclusion and the therapeutic benefits of yoga, in its fourth year now with 95% of trainees currently teaching, it is a small group training over 5 months with weekend modules and an 8-day intensive in Morocco, the academy also offers further training and mentoring from a group of passionate and skilled experienced teachers. Working as a yoga therapist in the last year Bryony sees clients 1:1 and in small groups.